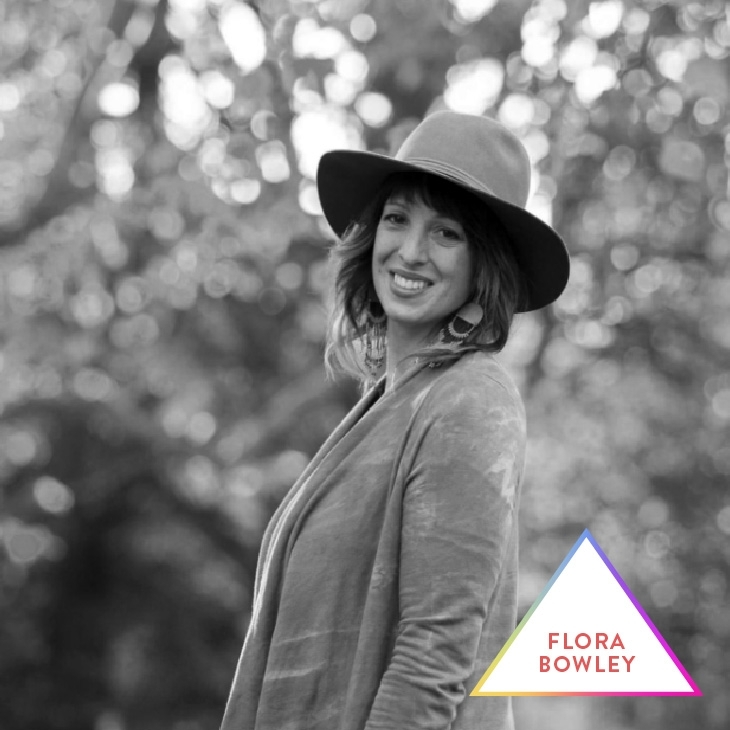 "A New Paradigm for Creative Success"
Flora Bowley is a painter, creative pioneer, gentle guide and author of two books, Brave Intuitive Painting and Creative Revolution. Blending over twenty years of professional painting experience with her background as a yoga instructor, healer, and lifelong seeker, Flora believes creative expression is waiting to unfold within every person who is brave enough to trust, let go, and explore. Flora’s soulful approach to the creative process has sparked a new holistic movement in the intuitive art world --- empowering thousands of people to courageously pick up a paintbrush, often for the first time. Cultivate Self Trust , Build Courage, and Patience through the Creative Process. Build a Successful Business without having to follow formulas or external strategies. Build a life that is aligned with our purpose and creative voice. Thrive as a Creative Person by taking the time to slow down and listen. "How to Stop doing Everything so you can Achieve Anything." "Using Art as a Catalyst for Personal Transformation & Business Success"
"Top Strategies to help you Step outside your Comfort Zone & Build Confidence." "How to stay true to yourself, (and step out of your comfort zone,) in powerful ways." "The Key to Creative Success? Focus & Be Prolific." "Finding Inspiration in the Day-to-day: How to Build a Prolific Creative Practice." "Becoming your own Creative Hero." "Together is Better than Alone." "Learn to Negotiate for Epic Success."